o Application closed for PGDM 2019-21 Batch. o Phase 1 and Phase 2 results will be declared in April 2019. Selection process on 27 April 2019.
fostered by strong souls and inventive minds. thus creating the enablers of tomorrow. Few institutions can boast of bridging the gap between academics and the industry, like us. Hailing from the S.P. Mandali Trust - one of the oldest in India; Prin. L.N.Welingkar Institute of Management Development and Research (WeSchool) has come to be known as one of the torchbearers for progressive higher education today. Shaping the business giants of tomorrow, we run every program keeping in mind the continuously altering socio-economic world we live in. Besides our regular management programmes, we offer programmes in Business Design, E -Biz, Research and Business Analytics, Rural, Retail, Healthcare, and Media and Entertainment. We choose to tread the path, less travelled. Our aspiration is, to create a fertile environment conducive to experiential learning. Our destination, a corporate revolution. With ‘design thinking’ at the heart of all our efforts, we strive towards disseminating knowledge, to create and nurture the leaders of tomorrow. After all, there’s nothing quite like the enlightenment, gained from meaningful education. Over the years, through the hours of hard work put in and sheer dedication of all our faculty, students, we’ve garnered a vast array of international and national accolades. These awards are an epitome of the academic excellence, innovative pedagogy, governance and leadership that WeSchool symbolises. We continue to push the boundaries of what we can accomplish, through meaningful learning. 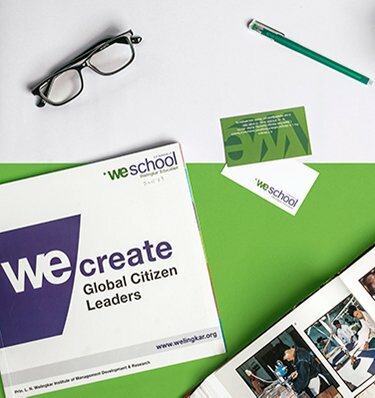 The WeSchool campus is where ideas, innovation and cutting edge global dialogues come alive. Our campuses in Mumbai and Bengaluru, draw students from diverse cultural, personal and professional backgrounds. Equipped with state-of-the-art facilities like WiFi and innovation labs; they enable for a new wave of collaborative learning. 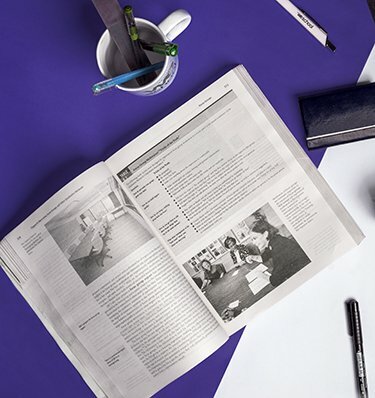 With us, you’ll find a wide range of carefully curated programmes, crafted with ‘design thinking’ at the core of it. Each rigorous curriculum, within our comprehensive range of courses, has been designed to shape classroom students into future business leaders. 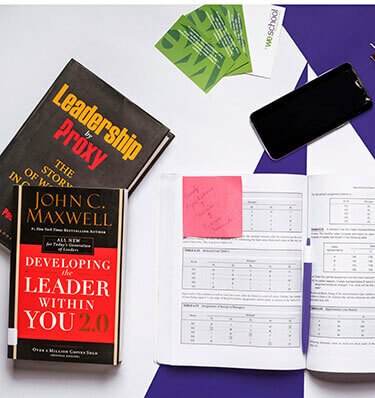 With a strong emphasis on, Acquisition, Application, and Assimilation of knowledge; Our full-time programmes focus on creating the confident managers of tomorrow. 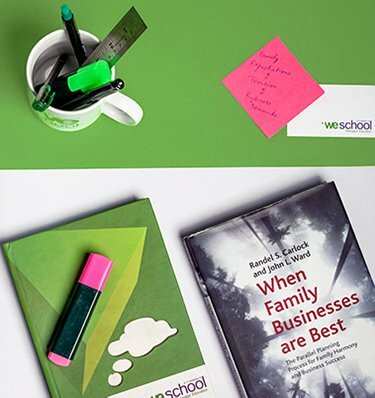 At WeSchool, we invest our efforts in bridging the distance between the industry and academia. Our campus boasts of integrated innovation and knowledge cells, as well as research and publication labs. This is where students can imbibe and gain exposure to new concepts, gain a global outlook and become future-ready. The sustainability-centric learning on the WE campus merges knowledge with practical exposure. Powered by technology, the students are apprised on future skills like business analytics. The study duration on campus takes the students to the grassroots of the subject. It is here, where learners get a chance to interact with CXO's, Alumni and renowned successful personalities. We center on empathy to design some of the most impactful solutions and inventions for organisational and community development. WeInnovate branches out into various international/industry academia partnered events. WeLead with winning examples from alumni to prospective students. Our students work on various research projects and live case studies for some of the finest brands. They acquire their learning by doing. We inspire young talent to distinguish themselves as entrepreneurs. The Center for Innovation & Memetics is the Innovation Lab (InnoWe) on campus that encourages students to work on their ideas and test them out practically. InnoWe is a space where thinking is stimulated; ideas germinate and are nurtured along to become paradigm-defining businesses. 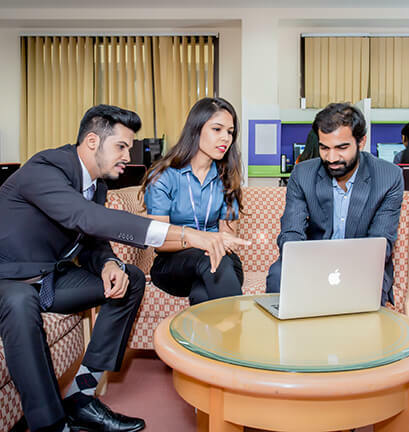 With over 358 companies on campus, spread across varied sectors, profiles and continents, we ensure that our students are well equipped to meet every industry requirement. To do so, we have partnered with the right recruiters in order to support our students, every step of the way. Disclaimer: Representation / Use of any third-party trade marks including logos herein is merely to indicate that these companies were at the WeSchool Campus for the Student recruitment process. Watching our dear students, recruiters and faculty members, mingle together with joy, fuels our passion, to raise our bar of academic excellence. Hear it from our students, alumni, parents and recruiters, themselves! Our business managers, till today cherish their learnings from WeSchool. The entire process of ideation or strategizing at WeSchool, helps me even today in my day-to-day job. The amount of interest and care the faculty takes for its students, is phenomenal. I've built not just a professional but a personal relationship with WeSchool. I've found WeSchool students to be passionate, aware and overall have a great sense of curiosity. Our vision was enlarged. We focused on global business's, instead of just focusing on the Indian market. Their ability to pick up work, learn and deliver at a great pace - that's a quality we appreciate. I joined WeSchool as an Aeronautical Engineer & left as a Design Thinker ready to take on the corporate world. Apart from the theoretical knowledge, the exposure the student get at WeSchool is very different from other b-schools. The kind of learning and opportunities I've had at WeSchool have proven to be immensely useful as a career growth path. The lectures we had, helped us know about the next thing that will drive businesses and give us the confidence of knowing we're going in the right direction. It was wonderful to see my colleagues and myself gaining exposure to and being placed in top companies. That was the best part. The most important thing at WeSchool for me was what happened after class! Before I joined Welingkar, I already had 3.5 years of corporate experience and hence, for me, studying here was an opportunity to prepare myself to be a better manager. In these two years, I've been lucky to get an opportunity to work with some of the best brains in the system - Prof. Pradeep Pendse, Prof. Deepa Dixit and Prof. Kaustubh Dhargalkar. Each of them have their own unique styles and are immensely talented in their own right and working with them helped me imbibe some of their qualities. I also did get my share of wisdom by associating with our dynamic Director- Prof Dr. Uday Salunkhe, who, despite being super busy, was always available for guidance and a word of encouragement! I am proud to be a product of WeSchool- an institution which has produced some of the great professionals and entrepreneurs in the industry. What sets it apart is the excellent combination of brilliant faculty, world-class infrastructure, diversity of students and a focussed course curricula. The hallmark of it’s philosophy is enabling an all-round development and not just academic exposure for the students. 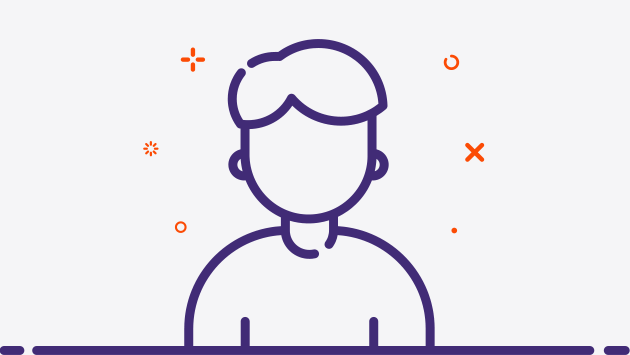 Apart from laying down a solid foundation for my career, my two years at WeSchool have given me the unique advantage of challenging and discovering myself and thus making an unique mark in this competitive landscape. Choosing the right MBA Program & the right college is a very important factor for it decides the growth of any student’s career. For me personally, the Business Design course of WeSchool played a very important role in shaping up my career. The out-of-the-box thinking, the faculty members and the cross-disciplinary approach of mixing Design & Management together is what has helped me grow as a successful Women Entrepreneur. The experience of interacting with leaders and visionaries like Kishore Biyani helped me to not just dream but to achieve. I grew in Zee and had edge over many of my counter parts (campus placement, moved on only 4 yrs back as A group head brand) and today run my own marketing firm and work with leading brands as a leader and a hard-working team member From experiencing 24 hour marathon sessions with our Director Dr Prof Uday Salunkhe to the international exposures... For me Welingkar has been a game changer! A special mention of Dr Salunkhe sir, Deepa Dixit Ma'am, Prof Pendse, Pramod Sir and Prof Venky.. their support has been immeasurable. Mind you- it's not just the theories but the personal grooming and exposure to the real world that made the faculties so special. Loads of gratitude. It gives me great pleasure to reflect back on my experience with Welingkar - my alma mater. “Encouraging us to be more independent and the freedom to think and act on our own’- This, I would say, is the best thing I felt during my 2 years at Welingkar. We got enough opportunities to develop analytical skills, leadership and proactive thinking through various programs and events. Student friendly faculty and supporting staff created a conducive academic eco-system for any student to thrive on it. The curriculum is designed to make the student corporate ready and more emphasis is given on learning through case studies, design thinking, perspective management, etc. I would say a 360 degree impact was made in my career for the 2 years spend in WeSchool. It opened different business dimensions which I would have never got been an Engineering graduate. I was fortunate to get the best of the faculties during my stint in WeSchool, which are still connected and guide me if I need any support. To sum up the E-biz course I took- it’s combined with the technology advancement & MBA specializations while giving us flavors of upcoming trends in traditional business management topics. My first step at Welingkar, made me realize the world of opportunities that lay in front of me. As I climbed the stairs on the first day, I could feel myself getting absorbed into the world of WE. Just a fresher completing my BTech but with no previous work experience in my stride, I had taken to pursuing Management but had no clue that this place actually creates an environment which simulates the actual outside corporate world. I worked with J.P.Morgan Chase for a year before I joined WeSchool. While working as a part of the Asset Management backend support team, it made me realize that the only way to climb up the corporate ladder was to study further and move to a front end role. Hence, my decision to pursue my masters. 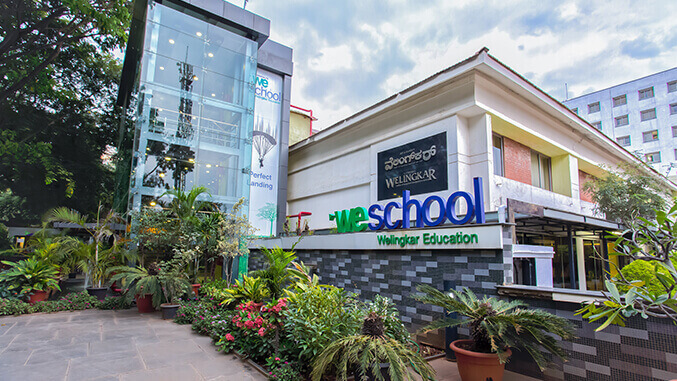 WeSchool has played an instrumental role in connecting me to experienced and helpful faculty and at the same time giving me an opportunity to network with the budding leaders of today’s industry. The course has a very good batch mix with students from diverse backgrounds, which truly enhances the learning experience. It is well structured with enough time to study as well as network not only with batch mates but also with industry professionals. The college has a very well structured placement program through which I got placed at Factset Research Systems. I have been working here for more than six years, and currently hold the position of a Manager of the India Client Consulting team. 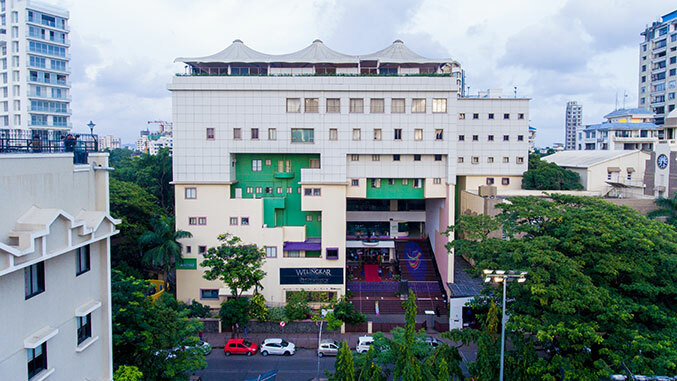 The foundation for all the many achievements and accolades started at Welingkar in 2003. I still remember all the lessons I learnt at welingkar right from the 1st foundation fortnight where we had people like Jaydev Hattangadi teaching us how to act, or Mr. Barve training us on team work and coordination and later Dr. Uday Salunkhe himself taking us on an outbound trip to Karjat for management games. Games that started etching in our head importance of researching, planning, execution, coordination, team work and more. These were ofcourse just some impressions of the fortnight, but I can talk for hours about it. My journey with WeSchool had been one of the most important in my career. The journey that started with foundation fortnight with a Theme of Governance to the Final project submission on Customer analytics. Each and every project I worked upon and the lecture attended has an immense impact on my professional life. The variety of subjects learnt and Industry exposure received during the 2 years of Weschool helped me to grow as a person. I was fortunate to receive the guidance from the best faculties in India and value addition in my knowledge is unparalleled. My motive to join an MBA program was to bridge the gap between what I had studied at my graduation course and how to apply the knowledge acquired by working to further enhance my career. I got a chance to opt for an exchange program to Denmark at the renowned Copenhagen Business School. The experience not only makes you learn about global cultures but also make friends for a lifetime. Through the various inter- collegiate management competitions WeSchool supports, I have won second and third place at the annual Draft FCB Ulka competition. The faculties are extremely good and don't restrict the curriculum to the text book but also give real life examples to drive home the point. The 2 years in MMS have been an enriching experience for me. 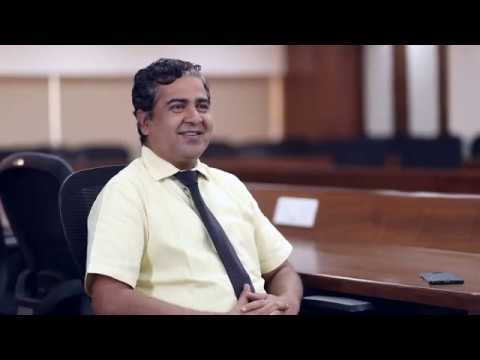 WeSchool provided me the opportunity to interact esteemed faculties and diverse peer set. During my tenure here, I got the opportunity to co-author a research paper on ‘Apprenticeship in India and world wide’ with an HR faculty. Lectures by visiting faculties from the Industry acquainted me with the contemporary industry practices. Outbound programs conducted by college imbibed teamwork and leadership qualities in me.